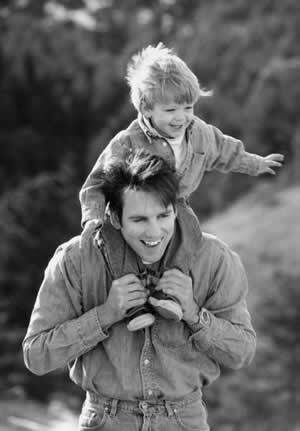 Father's Day: Father's Day is a day that honors fathers and fatherhood. Father's Day honors fathers and fatherhood. It celebrates the bond between children and fathers or father figures. The importance of fathers, the impact of fathers in society and parental bonds are just some of the aspects of Father’s Day. When is Father's Day celebrated? 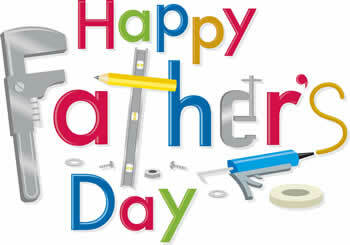 In most countries, Father’s Day is celebrated on the third Sunday of June. However, it is also celebrated on various other days in different countries, such as Russia celebrates it on February 23; whereas Italy and Spain among others celebrate it on March 19; China, on the other hand, celebrates it on August 8. However, in most instances, Father’s Day is not a public holiday. In 1908, Mother’s Day become a commercial holiday after Anna Jarvis promoted Mother’s Day as a holiday to honor her own mother. This enticed others who wanted to create a commercial holiday to honor fathers. One of them was Sonora Smart Dodd. Sonora Smart Dodd approached her pastor in Spokane, Washington, claiming that fathers should have a holiday similar to Mother’s Day honoring them. She wanted to honor fathers especially as her father, a widower and a veteran, had single handedly raised his six children. Dodd believed that fathers such as hers should be honored. Hence, she originally suggested June 5, her father’s birthday for the celebration. However, the pastors did not have enough time to write up the sermon, so the celebration was postponed to the third Sunday of June. The first celebration of Father’s Day was on June 19, 1910, in the Spokane YMCA. On July 19, 1910, the governor of the U.S. state of Washington proclaimed the nation’s first “Father’s Day.” However, the holiday did not receive a lot of success at first. Dodd stopped promoting the holiday throughout the 1920s, as she was busy studying at the Art Institute of Chicago. She then started promoting the holiday again during the 1930s and with more fervor and on a national level. She had help from the Father's Day Council and various other trade groups, including manufacturers of ties, tobacco pipes, and any traditional presents that would be presented to fathers. The Father's Day Council was founded by the New York Associated Men's Wear Retailers in 1938, to consolidate and systematize the commercial promotion. Still, the holiday did not receive widespread success. A bill was introduced in Congress in 1913 to officially recognize the holiday on a national level. However, it wasn’t until 1972, that the holiday was officially recognized on a national level. Why did it take so long for Father’s Day to be recognized? Mother’s Day was quickly adopted in mainstream, mainly because it had the support of retailers. These retailers supported the holiday mainly because they saw great potential for the holiday. They foresaw the amount of money that people would pay in order to buy flowers and gifts for their mothers. Nevertheless, Father’s Day did not receive the same enthusiasm from retailers, as men are generally not considered to have the same “sentimental appeal that mothers have.” Still, some retailers of men’s goods, such as ties, tobacco pipes, etc., did see potential for sales in the holiday. These manufacturers and retailers formed the New York Associated Men's Wear Retailers in 1938 in order to consolidate and systematize the commercial promotion of the holiday. There were many attempts to popularize the holiday. In 1916, President Wilson honored the day. He pressed a button in Washington, D.C., which used telegraph signals to unfurl a flag in Spokane. In 1924, President Calvin Coolidge urged state governments to observe Father’s Day. However, Father’s Day in fact received some resistance from men itself. Many men scoffed at the idea for celebrating fathers, calling the holiday, sentimental. One historian writes, men “scoffed at the holiday’s sentimental attempts to domesticate manliness with flowers and gift-giving, or they derided the proliferation of such holidays as a commercial gimmick to sell more products--often paid for by the father himself.” Due to these kinds of sentiments, Father’s Day took quite a time to become popular as a national and commercial holiday. What are some on the traditions followed on Father’s Day? On Father’s Day, it is customary to spend time with one’s father and to show love, affection and appreciation for one’s father and the father figures in one’s life. Many people enjoy a barbeque with their fathers; go out for lunch or dinners, or even picnics in the park. This may be the father and children by themselves, or the celebration could also be a family gathering. It is also customary to provide gifts for the fathers. This could be something that is store-bought or hand-made. Many of the gifts are usually neckties, cufflinks, power tools, etc. The gifts are also commonly technological in nature: a TV, phone, satellite connection, etc.